People who are looking for great content to learn from and share socially need look no farther than the Aha Amplifier! Content from the Aha Amplifier is retweeted, favorited, and shared at a much higher frequency than other content around the web. The only way to ensure that your ideas will have the greatest possible impact,” Robinson says, “is to look beyond traditional ways of sharing them. Last fall, the Huffington Post reported that nearly a third of Americans have not read a single book in the past year. While some see this as evidence that books and literacy are declining, authors and thought leaders have not slowed in their creation of content – publishing more books each year, through traditional and non-traditional platforms. Steve Piersante, publisher at Berrett-Koehler Publisher, summarizes the difficulty authors face in selling books into “terrible truths” about publishing; as an exploding number of books are published each year, the number of books sold still rapidly declines. According to Piersante, the average U.S. nonfiction book sells fewer than 250 copies each year. 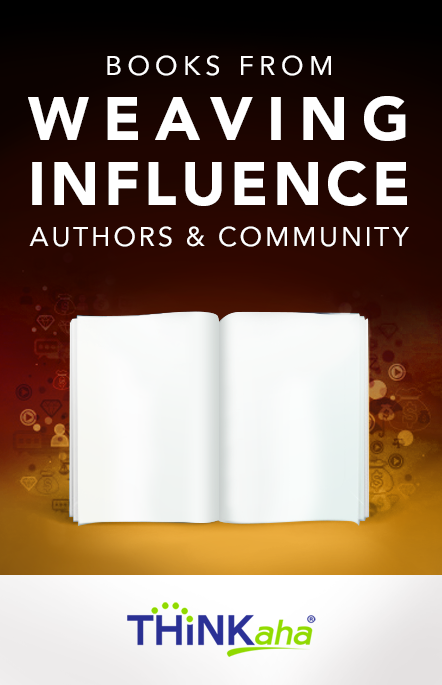 So as more books are written and fewer books are bought and read, how can people create impact for their messages? 1) Sharing content in small bursts is a service to others. While many people may never read (or complete) a business book, people will find insight in sticky ideas shared on social media. When thought leaders and authors create an Aha Amplifier book, collection of 140 twitter-sized quotes (e.g. 140 potential Aha moments), they increase the likelihood that people will read, think about, and take action on their ideas. 2) Repeated messages are remembered. People will be more likely to remember messages that are repeated. Short bursts of content, like the ones available on the Aha Amplifier, can be read and re-read, shared and re-shared. When they are, they will have greater impact. 3) When people read small bursts, they will be drawn to follow the thought leaders creating those messages. If people effectively distill their content into valuable, short bursts, and if they share those short bursts consistently, people will be drawn to them as thought leaders. People who want to be known and followed as thought leaders must share their thoughts in online conversations. 4) Small bursts of content are a great testing ground for ideas. Thought leaders can test their ideas’ resonance by sharing them in small bursts online, through an Aha Amplifier title. They can see which ideas are most frequently shared by others or retweeted. The ideas others choose to share are indicators of topics that people would be drawn read and learn more about. Check out five Ahas from Kevin Kreitman's book and watch a video on what she's done here.